The Toyota FJ Cruiser is just one more evolution in Toyota’s a rich off-road history. 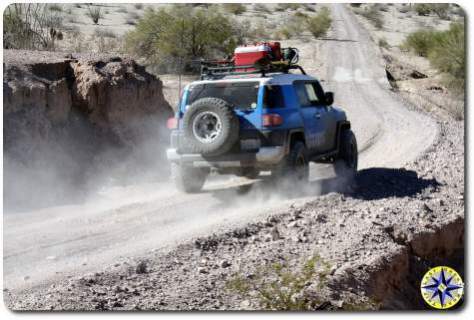 A quick look at the time line and you’ll see, Toyota has been in the truck business for decades and continues to build on that rich tradition with the FJ Cruiser. Can’t wait to see what is next. 1961-1965 – Land Cruiser 40 Series is the best-selling Toyota in the U.S.
1983 – Final year of 40 Series sales in the U.S.
Like so many legendary trucks, Toyota continues to evolve its line of land cruisers. Can’t wait to see where it will go.